We are an organ building company located in Volkach, Lower Frankonia. Established in 1988, we’re experienced in restoring and upgrading existing pipe organs as well as building entirely new instruments. 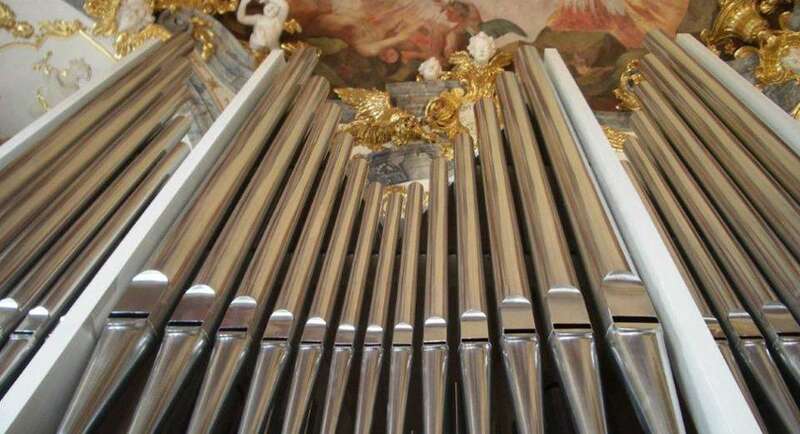 We offer maintaining, tuning and repairing services for all kinds of pipe organs. We provide comprehensive consultancy and customized solutions. Our services are requested all over Germany. The last activities have been conversion and upgrading an organ in Bremen. We combine high-grade materials like hand-selected domestic woods with best craftmanship and experienced intonation work. We are proud of the supreme craftsmanship grade Meister, standing for long-term experience and the self-conception of constant progression. Deutscher Orgelbau, registered as cultural heritage UNESCO 2017.